If you have an interest in design or making, then this is the course to be in. You’ll learn about design from various perspectives and start seeing the world around you differently. 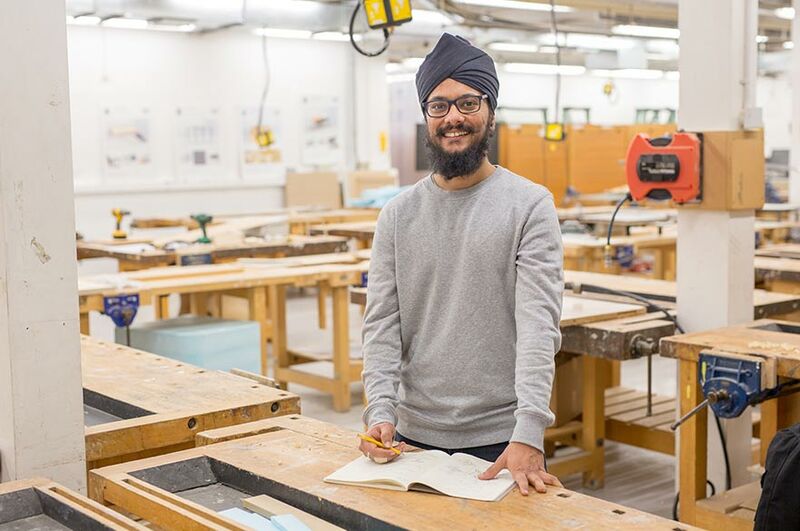 In a nutshell, why would you recommend your course / NTU to someone looking to study BA (Hons) Furniture and Product Design? Could you please tell us about anything extra you have been involved in while at NTU? “In my second year, I joined the NTU Makers Club which is run by one of our technicians. The whole club revolved around the concept of making, and included woodturning, bodging and more. The whole experience allowed everyone to appreciate how it feels to work with your hands. How did you find out about NTU’s international scholarship, and how did you feel when you won it?